Detective Lieutenant, Matt Stuart, third generation New York cop, is precinct head in Pigtown, an old wiseguy neighborhood where the name remains but the pig farms are gone in a forgotten section of Brooklyn. Which is where Beansy Rutolo is found inside a refrigerator with his brains blown out. Nobody cares about mob hits anymore, but Matt owes one to Beansy due to an ancient favor on Beansy's part to Matt's father. Matt's investigation of the hit on Beansy rattles the top brass in the Big Building, resulting in Matt taking chances with his career and his life. 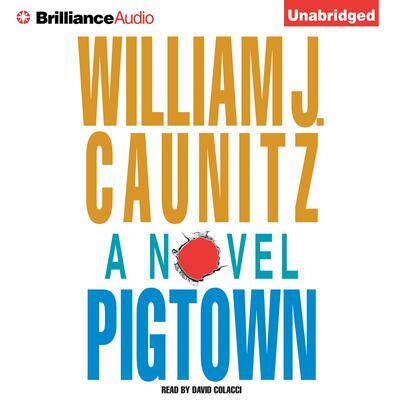 Pigtown is as stark as today's newspaper, as real as New York itself, and the best book that William Caunitz has ever written.